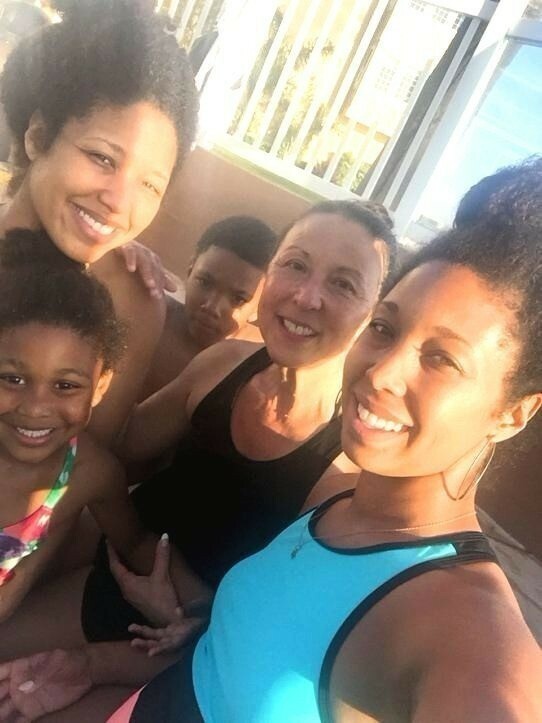 Our Time At Seacrest Oceanfront Hotel In Pismo Beach - We Love It Here! Our Time At Seacrest Oceanfront Hotel In Pismo Beach – Your Family Will Love This Hotel! 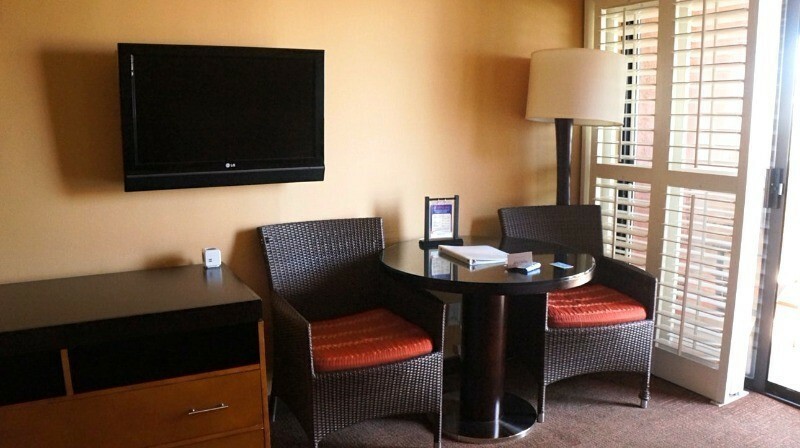 We loved our stay at the Seacrest Oceanfront Hotel in Pismo Beach, California. 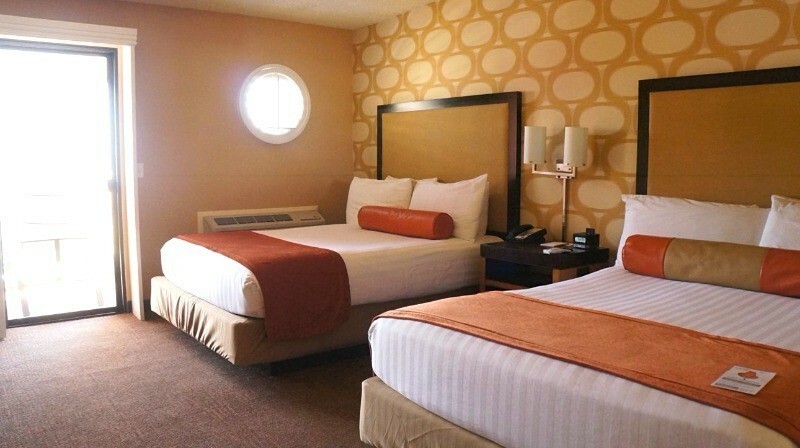 This Central Coast hotel is beautiful, full of amenities, and perfect for families! 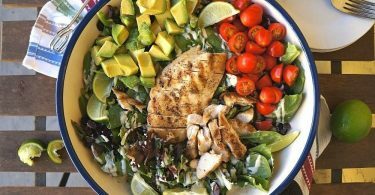 Taking the family to visit Pismo Beach? Or maybe you’re road tripping up the coast of California? When we took a fun Southern California road trip up the coast, we planned a few fun stops. One of our favorites was Pismo Beach, a relaxed, laid back beach city with sunshine almost year round, beautiful beaches, and the popular Pismo Beach pier. 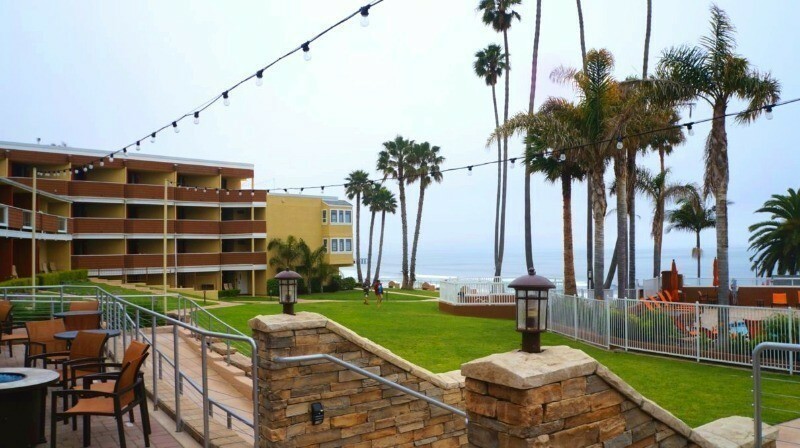 We chose the Seacrest Oceanfront Hotel in Pismo Beach as our home base, and we really hit the jackpot with this gorgeous hotel! 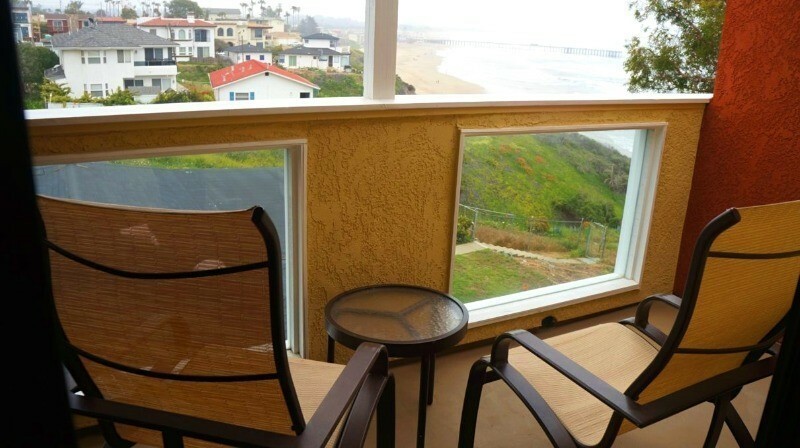 We loved the Seacrest Oceanfront Hotel In Pismo Beach, California! The Seacrest boasts 158 rooms in various categories, so I know for sure that you will find a room type that fits your families needs. We stayed in a Coastal View/Two Queens room, which was perfect for us. If you need more space, there are SpA Deluxe rooms, family suites, Deluxe oceanfront King and queen options, and even a dog friendly suite! Here are a few photos of our lovely accommodation. Someone enjoyed the comfy beds! The sitting area and flat screen TV. There is also a mini refrigerator, microwave, and easy-to-use coffee maker for your mornings. Our patio looks down south along the coastline. The sitting area was perfect to enjoy cool afternoon breezes with a glass of wine! Bring out the snacks and you might get a visitor or two during your stay! This seagull ket coming around when we hung out on the patio. My kids threw food to him/her ONE time and he literally never left! 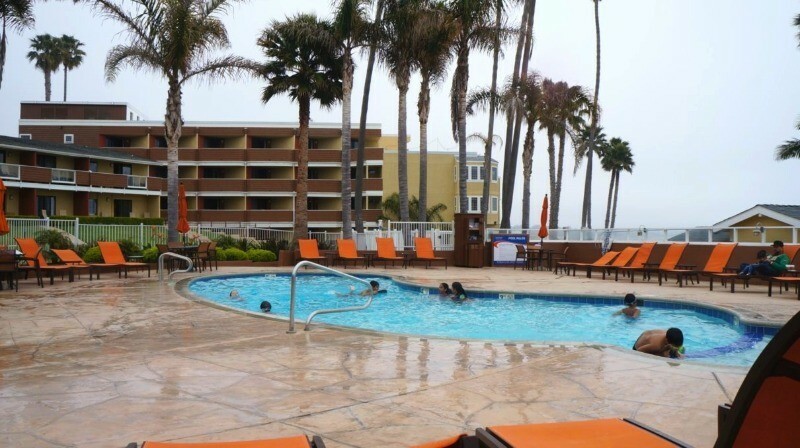 One of our favorite things to do at this Pismo Beach, California hotel was to swim in the nicely heated pool! My kids were thrilled to hop around from hot tub to hot tub. 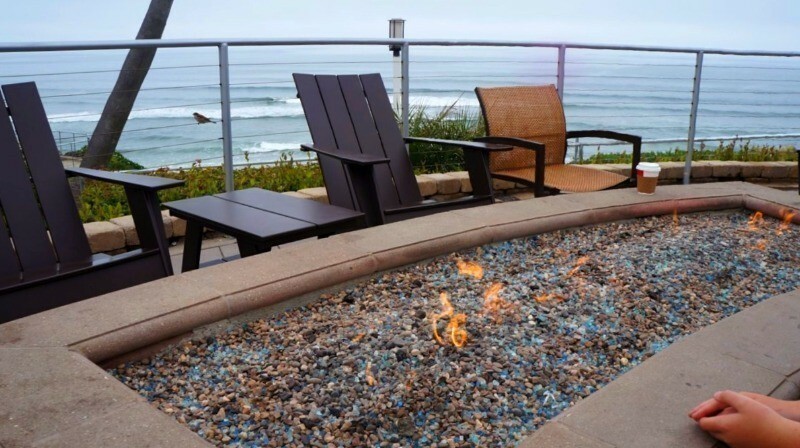 Yep, Seacrest is one of the hotels in Pismo Beach with a jacuzzi – 3 of them to be exact! The hotel boasts a large, grassy courtyard with lots of seating, perfect to lounge and take in the beautiful scents and sights of the ocean. Fire pits come on in the afternoon along with fresh baked cookies and light refreshments. If you wish, rent one of the bikes at the entrance to the hotel and go for a spin! Also to love, Seacrest is a smoke-free, they offer a continental breakfast each morning, featuring a “hot oatmeal bar, cold cereals, yogurt, whole fresh fruit, hard boiled eggs, assorted pastries, toasts, waffles, juices, hot coffee, and hot teas,” 24-hour hot coffee and tea, a rooftop terrace, beverage in-room delivery, and you can use complimentary wifi access hotel wide. When the sun goes down, enjoy a spectacular west coast sunset. Wow! 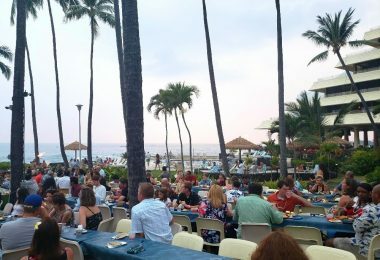 The photo below was taken from our Coastal view room, but lots of people stayed in the courtyard area and watched the sun go down. 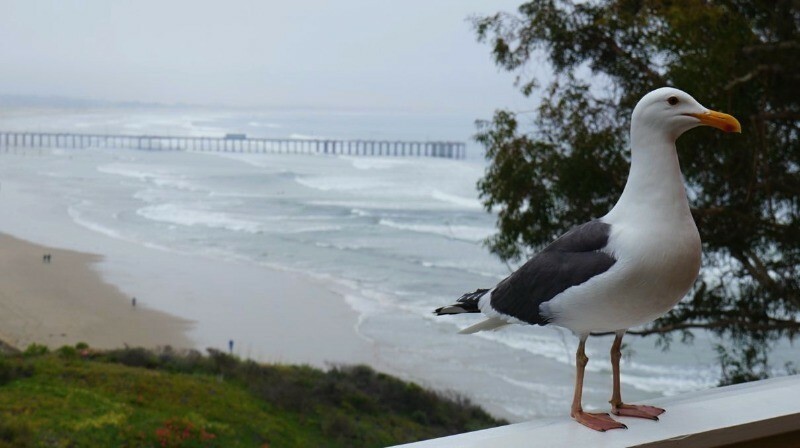 Come visit Pismo Beach and stay at the Seacrest Oceanfront Hotel! 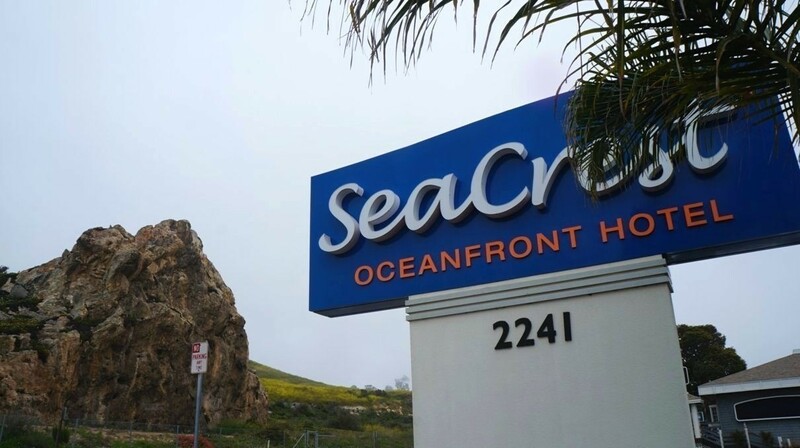 Whether you’re visiting for a week or a weekend, the Seacrest Oceanfront Hotel in Pismo Beach, CA is they perfect place to stay! Get a dose of California beach culture at this lovely accommodation on the Pacific Ocean, I highly recommend it. 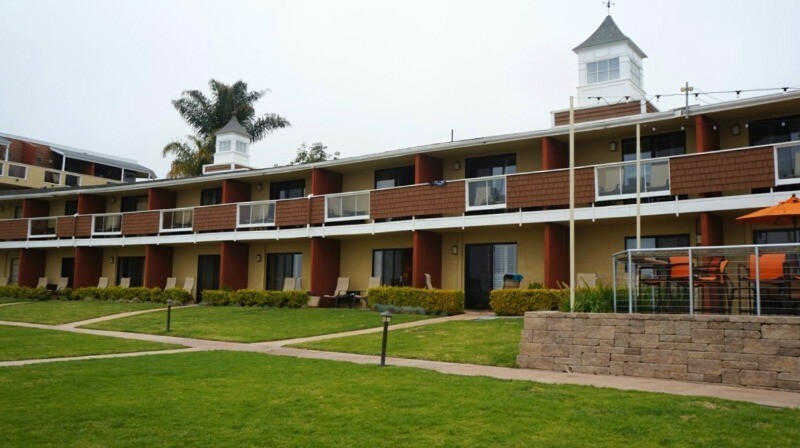 This hotel is perfect for people visiting Pismo Beach, staying in the San Luis Obispo area, or even passing through for the night on a road trip. 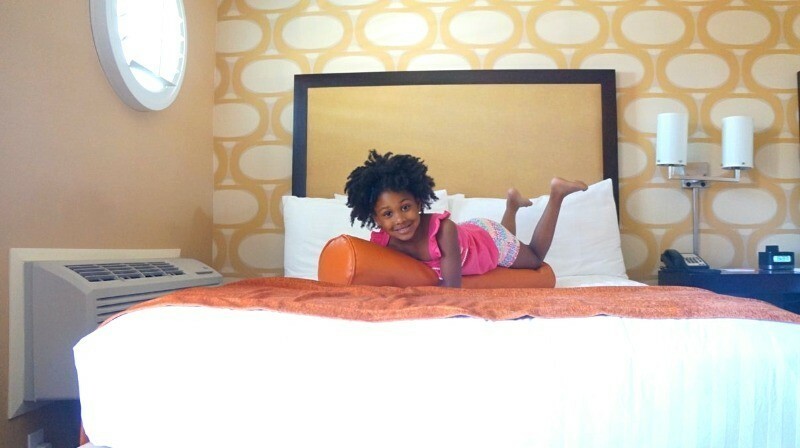 I loved that it was affordable and full of the amenities my family needs when traveling. My kids loved swimming and getting a warm, delicious cookie every afternoon! 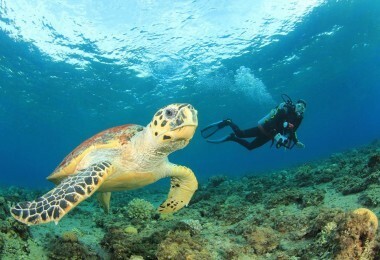 Looking for more fun California travel tips? 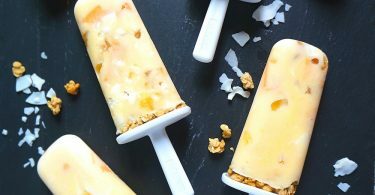 Cool Off With These Easy Homemade Tropical Frozen Yogurt Popsicles! I think I’d spend the majority of my time soaking in the view. It’s beautiful!